The dependence of oak decline on climatic stressors is fairly well documented, but little is known about the impact of soil properties on growth plasticity and as predisposing factors to decline. Here we investigate if oak dieback and individual responses to climatic stresses are related to soil nutrient availability. Chemical properties of surrounding soil and tree-ring series of healthy, declining, and dead oaks were analysed in four replicated forest stands under Atlantic wet climate conditions in NW Spain, where massive death has occurred. Current nutrient availability significantly predicted oak death risk. Lower concentrations of macronutrients (N, Ca, Mg, and Na) were found in soil surrounding dead trees than living trees. Water excess before the growing season negatively affected growth, and trees showing declining symptoms were more responsive to climate. Trees with greater Ca availability in the surrounding soil were able to respond more plastically to the stress caused by water excess, while trees with lower Ca levels were less responsive to the stress and more predisposed to die. This work revealed that both climatically-induced dieback and the individual dendroclimatic response of oaks may be linked to the uneven distribution of soil resources in declining Atlantic forests. We thank Enrique Diz, Adrián González, Sonia Lamas, and Aurea Pazos for field and laboratory tasks. Margarita Alonso and Francis Ignacio (Centro de Investigación Forestal de Lourizán, Xunta de Galicia) assisted us with soil analysis. Estación Fitopatolóxica do Areeiro assisted us with soil pathogen analysis. María José Rozados provided useful information on study site history. José Miguel Olano contributed with useful suggestions on an earlier draft of this paper, and David Brown with English language edition. The authors benefited from research contracts by INIA-Xunta de Galicia, partially funded by the European Social Fund. 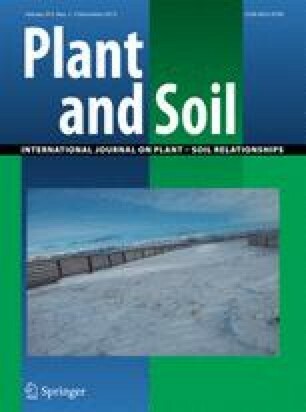 This study was supported by Consellería de Innovación e Industria, Xunta de Galicia (PGIDIT06PXIB502262PR), and Instituto Nacional de Investigación Agraria y Alimentaria, Ministerio de Ciencia e Innovación (RTA2006-00117).